Home | Events | Parade Celebrating OT & O-High Girls’ State Basketball Champions! Parade Celebrating OT & O-High Girls’ State Basketball Champions! Sun Apr.7.2019 Comments Off on Parade Celebrating OT & O-High Girls’ State Basketball Champions! We continue to celebrate our Ladies basketball team this week with a city-wide parade and rally. 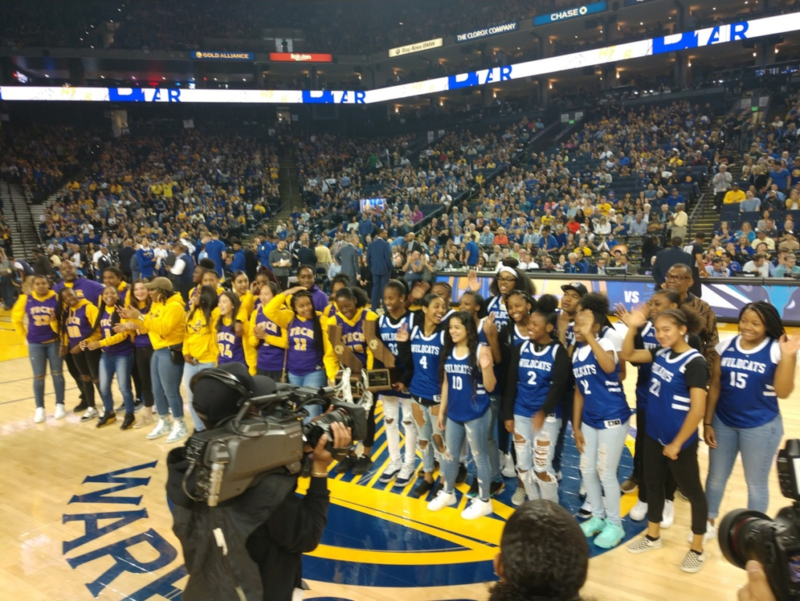 The parade for the Oakland High and Oakland Tech girls basketball teams —CA Division 3 and Division 4 Champions! — is this Friday, April 12. The parade begins at the front of Oakland Tech at 12:30 PM. Please come and celebrate with us then or cheer on the girls along the parade route that will weave throughout neighborhoods of Oakland. Here is the parade route. The parade will end at City Hall (1 Frank Ogawa Plaza) which will be followed by a rally at 4 PM.